Bonjour et Au Revoir mes amis! Yes no sooner am I back from my little blogging break than I am jetting off once again, but this time I really do have a good excuse, honest. You see we're off on our honeymoon for a week, finally after almost 10 months of wedded bliss we are finally off to celebrate! We are so looking forward to our little Parisian break, this past year has been a whirlwind of events, milestones and general happenings, from dissertation all the way back in April 2014, to graduation, our wedding and new job opportunities you could say it has been all go in the Granite City Girl household, and so I bid you adieu today once again as we jet off for another little break, but don't worry I shall return and with plenty of content to be sure to be sure! Until next time folks, I'll send you a postcard, au revoir. My home is the tidiest it has ever been at the moment. Between having one of our friends coming to stay for the weekend and not wanting to face a mountain of washing and cleaning when we return from our holidays at the beginning of June we have been going turbo on the cleaning front, and I'll be honest I'm kind of liking this cleaning malarkey. My wardrobe on the other hand... well it's a sight for sure. Between buying mountains of holiday clothes, digging out old summer clothes and generally having a switch around of the seasons my wardrobe makes me want to hide under my newly cleaned house corners. Truth be told I'm a clothes hoarder, to look in my wardrobe is really to see a time capsule of my adolescence. Ranging from sizes 6 through 14, I have dresses from my school days as a 'goth' 7 years ago, cropped tops from my college hippy phase 4 years ago and bringing us up to my rather tame and toned wardrobe today and even still I continue to buy. I hate to throw away clothes I have paid quite a bit of money for and after years of giving bits and pieces to my local charity stores I decided it was high time the fashion industry gave us a good incentive for buying and recycling! And that's when I discovered H&M's worn out clothing scheme. H&M have launched a recycling scheme where you get money off vouchers for the clothes you bring in to your local H&M store to recycle. They can be torn, hopelessly worn, out of style and they don't even have to be H&M branded clothing you just need to fill a bag bring it in to your local store and they will exchange your goods for one of their £5 off recycling offers (which unfortunately can only be redeemed when you spend over £30) it ain't much but it's better than nothing! You can literally bring any fabric product along so I hear, from curtains and bedding, to tops, t shirts, jeans and jeggings, it seems the sky is the limit for this environmentally conscious brand and I plan on reaping the benefits for as long as I can. 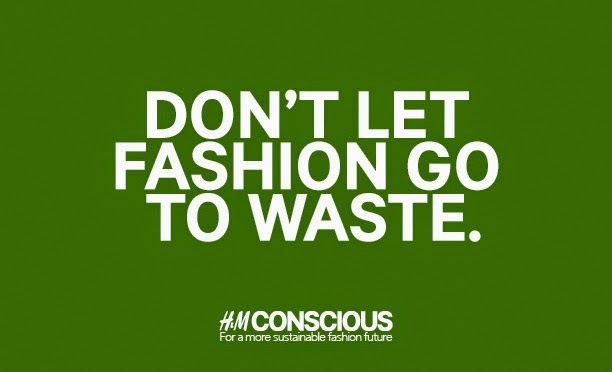 Have you guys donated any clothes to H&M recently as part of their recycling scheme? Or have you tried out another stores scheme and found it even better? I would love to hear your thoughts, apologies for the short post today I was just quite excited to share this with you in case like me you were a bit late to the party (as usual for me!) Be sure to leave your comments below, come share them with me on Twitter or if you'd like to keep up with the latest Granite City Girl posts be sure to follow me on Bloglovin. Until next time folks, I have my brand new environmentally friendly trousers on. Since having my little blogging break I have been busy. Busy buying that is. Really with my holidays on the approach I feel as if my spending has hit an all time high, and I'm not sure why that is, it's not like I really NEED a new eyeshadow palette for Paris is it? Well in short yes, at least that's how I have rationalized it in my head, and why not this palette in particular I got for the bargain price of £4, especially as the blogosphere has raved about this being a fabulous Urban Decay dupe. Makeup Revolution has been on the go for a good while now, sold exclusively online and in Superdrug they have been the talk of the town and Twitter for a long time mainly because they have been pitched to the press as the new IT brand for bargain beauty and it's easy to see why. 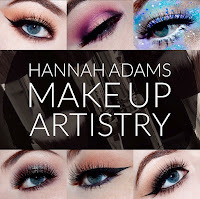 It isn't everyday you get a new make up brand with prices starting from £1, and given my new palette has 12 gorgeous shades for a pittance of the cost of Urban Decay you can see why they're flying off the shelves! I chose the Iconic 2 palette as the shades seemed to have cooler undertones in comparison to the Iconic 1 and 3, which tends to go a bit better with my skin colouring. The palette has 4 matte shades and 8 shimmer and has a great range of browns, nudes, taupes and golds (my favourite go to everyday shades) When I first took the palette home I was skeptical, there was just no way these £4 palettes could compare to a luxe shadow that is over triple the cost, but being the beauty and trend fiend I so truly am I gave it a go anyway. The first day I wore the shadows I used shade 3 (inner eye), shade 5 (crease) and shade 10 (blend) alongside my regular liner and mascara products, I was incredibly impressed by the pigmentation in these shades, particularly because I thought I would really have to work to get them to stay on my lid! It was for a pretty full day out to my grandmas, off to ASDA for the weekly shop, B&Q then home to cook dinner, so I was interested to see whether or not these wonder pigments would stand the test of time and so far I have not been disappointed. These have quickly become my go to products alongside my bourjouis shadow pot which I use as a highlighter, and I can completely see why the blogosphere has been going mad for the brand. Never did I think I would see they day where I would opt for a budget product over what is considered the 'real deal' I think this may be the dawning of a new beauty era for me and perhaps for you too if you decide to give these a try. I hope you have enjoyed hearing my take on the Makeup Revolution palettes particularly as I have been incredibly late in joining the party, but you know a girl has to do her research! If you have tried these palettes please do leave me a comment below to let me know what you thought, are there any more budget products I ought to be investing in? Come Tweet your suggestions at me if you don't fancy commenting or of course if you'd like to keep up with the latests posts be sure to follow me on Bloglovin. Until next time folks, I'm going budget beauty. Hello everyone, I'm back again with yet another one of my recent culinary endeavours and this is one I am particularly chuffed with, not that it is elaborate or is a masterpiece by any means but I'm always pleased when I am able to add a healthy alternative to a favourite take away dish to my list of culinary delights and in this case I'm going to share my recipe for cauliflower base pizzas. 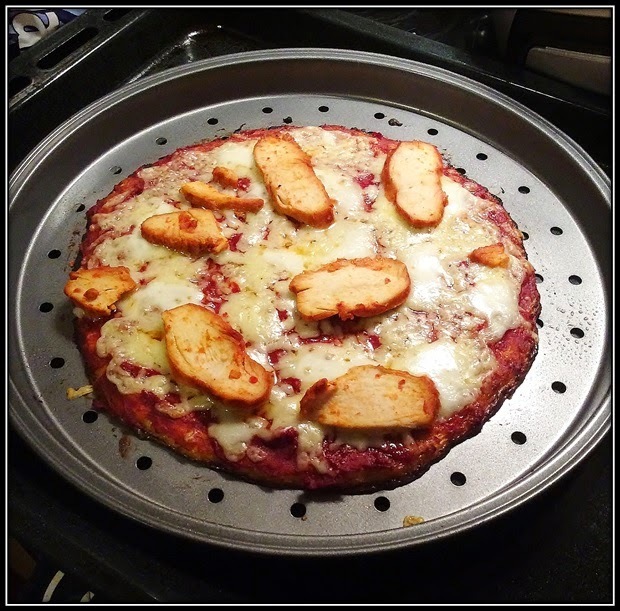 These are foolproof ladies and gents, there isn't really a 'wrong' way to make these and you can make them as healthy or cheese laden as you so choose, but I thought as I'm still on my health kick that I would give you yet another glimpse into my endeavours and share my 'healthier' version of a thin crust pizza. Now I made ours with lean sweet chilli chicken but you can use anything you like, go nuts, the sky is the limit! Preheat your oven to 200°C and grate your cauliflower. Put your grated cauliflower in a microwavable bowl and switch on for 7 and a half minutes. While this is happening shred half a cup of mozzarella cheese finely and grate a small portion of cheddar cheese. Let the cauliflower cool for 5 - 10 minutes and then mix together with your prepared cheese and 2 eggs. Prepare the pizza tin with some 1 cal olive oil spray and then spread out your cauliflower mixture into your tip and spread evenly. Cook in your preheated oven for 10 - 15 minutes until solidifying and browning at the sides. Remove from your oven and spread with tomato puree and add your chosen toppings, in my case some cheese and sweet chilli chicken, place back in the oven for another 10 - 15 minutes. Remove from oven and be careful when cutting and sliding the slices on to your plate, let it cool for a couple of minutes then enjoy your culinary creation. Use tortilla bases to make garlic bread using garlic and herb spread (I use Philadelphia) and mozzarella cheese. This has become one of our weekly meals in our home and paired with some garlic bread makes quite a substantial dinner, you can serve with salad if you like but you know I like carbs! My next attempt is going to be trying a chicken and kale pizza and I'll be sure to keep you updated on how that one goes down, I reckon it won't go down too well with my other half, but we will see. As always I love hearing from you and if you do happen to make these I'd love to see your efforts, be sure to comment below how it went or of course share your pictures with me on Twitter, but if you'd just like to see more of my face, food and frolics you can follow me on Bloglovin. Until next time folks, setting up my home delivery services. It's a feeling I'm sure most bloggers, writers and journalists can relate to. You're up and rearing to go, you sit down, whether it be at your laptop, with your pen and paper or iPad you open your documents and.... nothing. Inspiration fails to strike and you're left feeling like a failure... in fact it is the premature ejaculatory experience most writers will face at one point in their career and you're left genuinely feeling as if you have completely lost your writing ability in the night! The fear sets in, what if I never write again? What if my career is over? What if the inspiration never comes? Well today I am here to share my very own tips on how I get over writers block and some coping mechanisms for when I feel I may never write again. Although it can be difficult, particularly if you have a deadline to meet but it is honestly the greatest remedy for writers block. Inspiration can strike at any time, any where so get outside, get away from the screens or maybe even just make yourself a cup of tea (and cake) come back in a few hours and I guarantee you'll be rearing to go once again. These aren't just for school kids and exam revision you know. Write down all of your likes, dislikes, your hobbies thoughts and literally anything that comes in to your head. Take a step back and piece together some post ideas, you may find your most creative ideas come from just pouring out all of your thoughts, and yes I'm even talking about the negative ones. No I'm not talking about going for a hike or on a great adventure (but it would make a great post if you decided to!) Get outside and spend time with your family and friends, catch up with people you haven't seen for a while. People are the greatest sources of inspiration and you never know when it may strike when you loosen your grip! I hope this has given all of you writers currently facing a mental block a sense of calm and ease, we all face it at some point or other - seriously my job just wouldn't be as interesting if I didn't face the occasional road block and the same comes with a good piece of writing. As always I would love to hear your thoughts, how do you deal with writers block or what do you do when you hit a wall and can't seem to get over it? Be sure to let me know in the comments below, come share your thoughts with me on Twitter or of course if you'd like to keep up with my latests you can find me on Bloglovin. Until next time folks, breaking mental barriers.